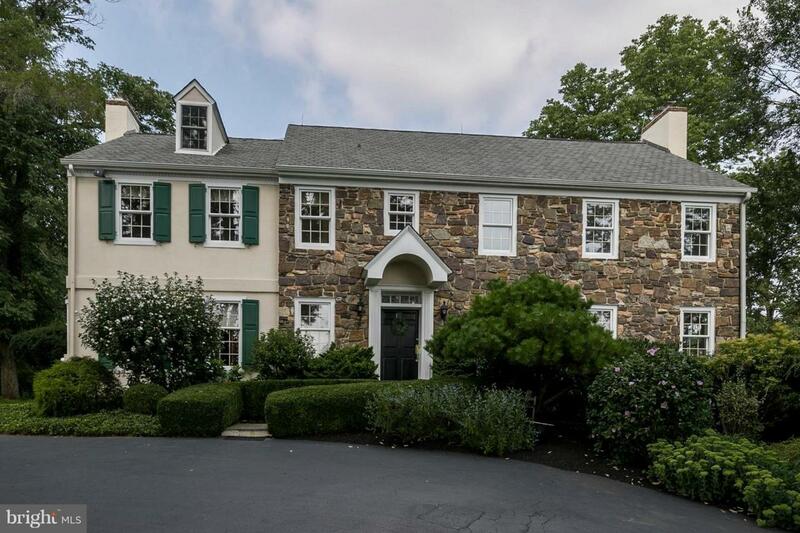 Colonial charm on a private and serene 1.3 acre lot. 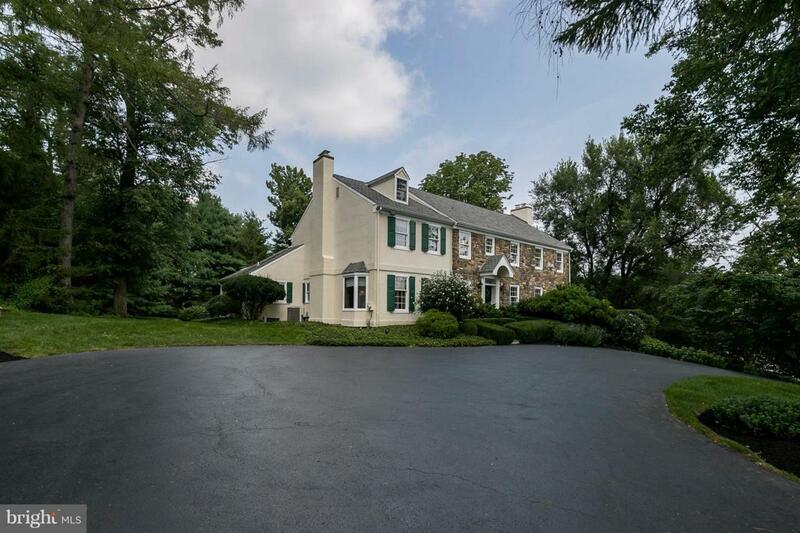 Located in a quiet neighborhood, this 4 bedroom, 4.2 bathroom home is nestled amongst horse farms and mature trees providing beautiful vistas from first and second story windows. Upon entry into the home, you are greeted by the sleek hardwood flooring and the two story foyer. Opening up just past the foyer area is the living room boasting one of the four fireplaces occupying this beautiful home. Fireplaces are located in the Master Bedroom, Living Room, Kitchen and Study, creating a warm, comfortable and inviting living space. Past the living room is the formal dining room which features a large bay window and built-in corner cabinets that truly add to the colonial charm. The kitchen is equipped with updated stainless steel appliances, a cooktop, a spacious peninsula and separate pantry. Storage space is a plenty in this kitchen fit for a chef. A delightful breakfast room juxtaposed perfectly with the fireplace completes the kitchen. The family room consists of custom Anderson windows providing sunlight from the first to last light of day and a convenient wet/dry bar for all of your hosting needs. The main floor is made complete by the elegant study which includes custom built-in shelving, crown molding, new wall-to-wall carpeting and a brick fireplace. 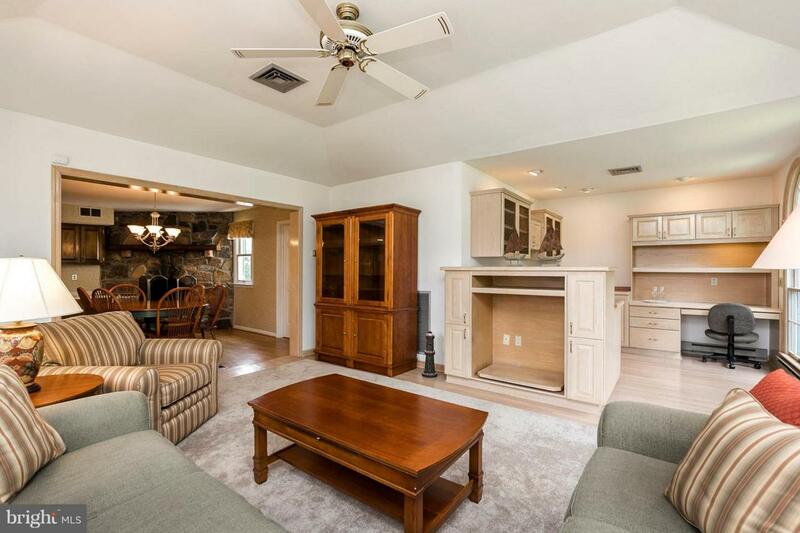 The upper level of this home features 3 sizable bedrooms in addition to the master suite. The comprehensive master suite includes his and her bathrooms, and walk-in and traditional closets, highlighted by a lovely brick arched fireplace and custom mantle. 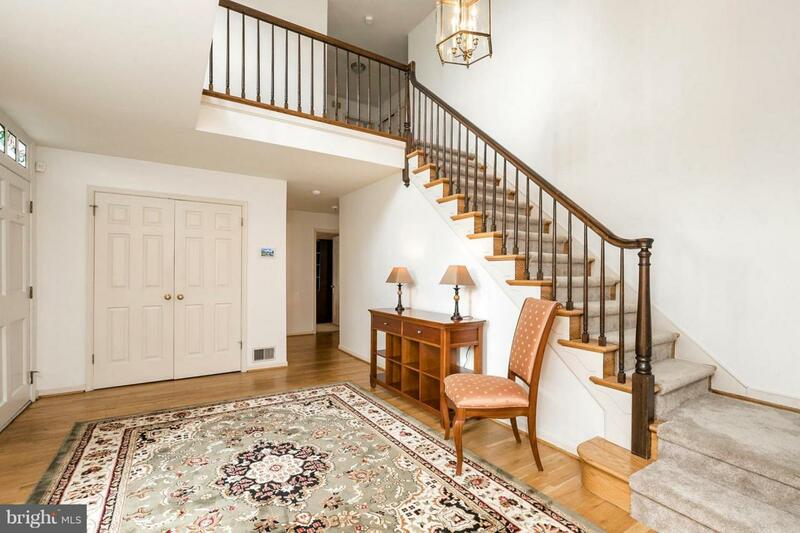 Second story stairs lead to a fully open attic that traverses the entire length and width of the house, ideal for storage or for possible finishing to create an additional third floor of living space. Additional amenities include a fully finished basement, providing storage and living areas, main floor laundry, with a new washer and dryer, an upgraded ADT alarm system with touch pad, a whole house reverse osmosis filter and whole house dust and allergen filter. The fully landscaped surroundings including a brick patio, porch and terraced planting gardens, make this home an absolute dream when relaxing outside. An oversized two car garage, providing plenty of space for vehicles as well as tools, bikes and motorized machines and extensive private driveway provides considerable parking area, enough for at least nine cars. Full of charm, privacy and tranquility, this unique home awaits your visit.